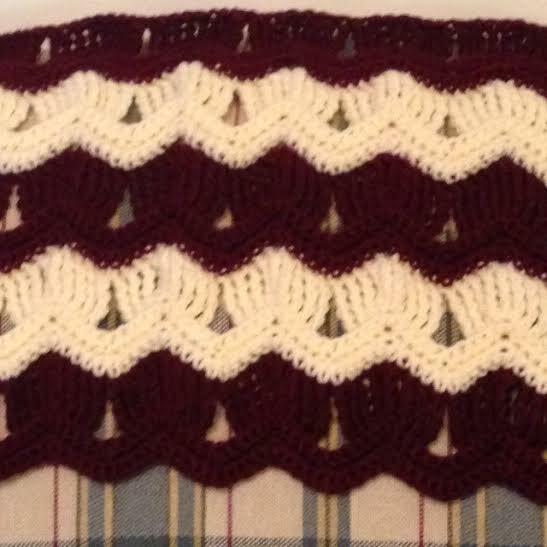 I am loving this pattern and it is really starting to look like an afghan!! 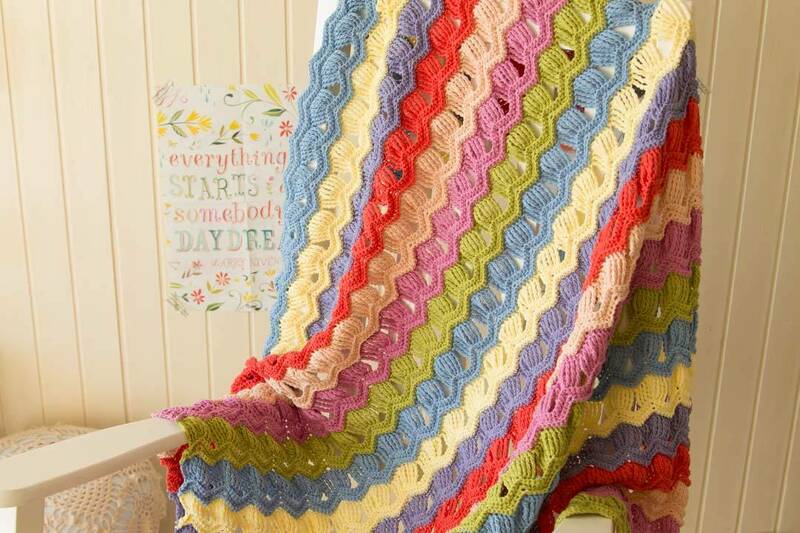 I can’t wait to try it out this winter,,, Cozy up under this beautiful afghan on a cold winters night!! If you are Crocheting With Me… Make sure to email me your photos of you work in progress… You may be featured in next weeks post!! This week complete 2 more color segments… As you can see above, there are 8 color segments already done… And at the end of this week you should have 10 total color segments complete!! I am estimating by the end of this week we will be almost 50% done with our project… Wow,,, how time fly’s when you are having fun!! 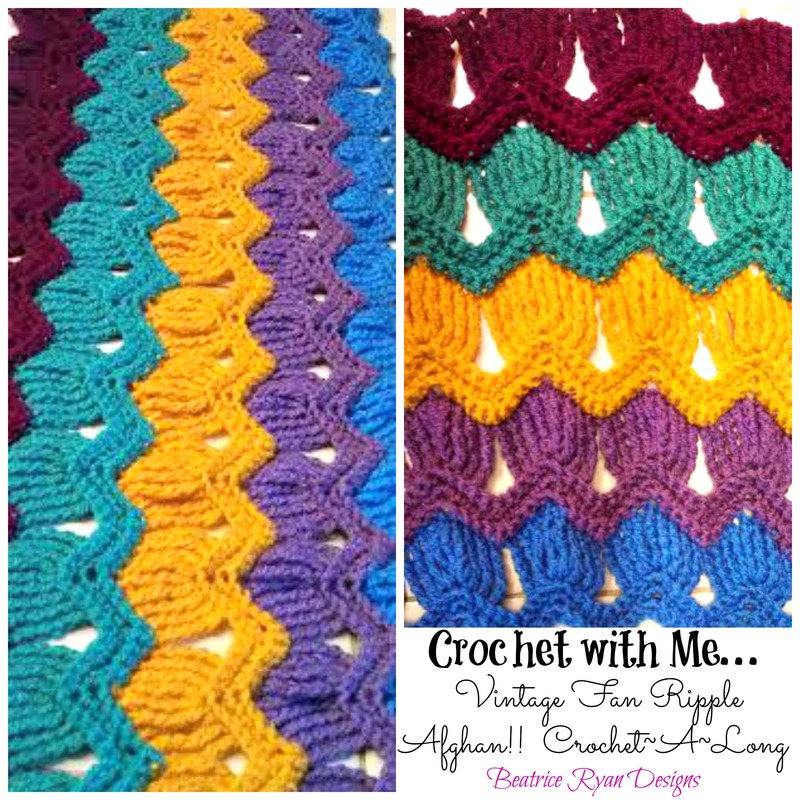 Vintage Ripple Fan Afghan by A Creative Being… Pattern available at A Creative Being!! 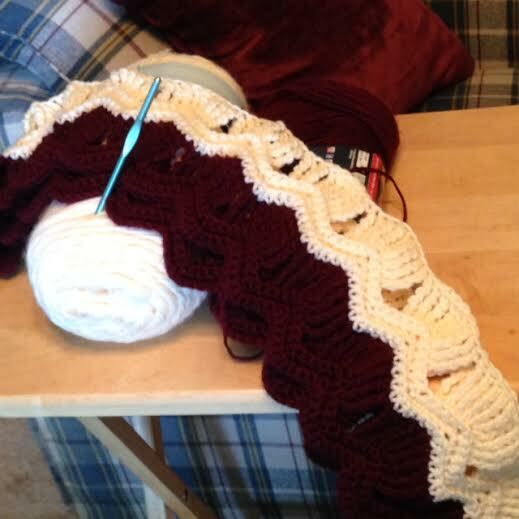 And… One of our Crochet With Me participants emailed me her picture of week 1… Love it!! 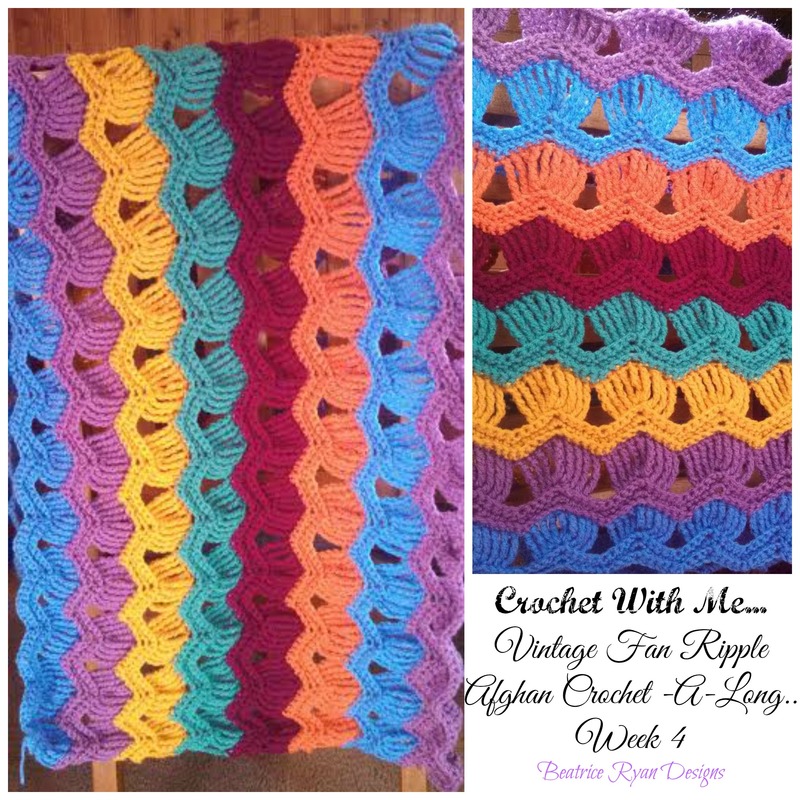 Amazing work… This is a really fun afghan and once you get the swing of it… It’s a pattern that can be worked with out having to re-read every row and you can just sit and relax and get crocheting!! This week complete 3 color segments… As you can see above, there are two color segments already done… And at the end of this week you should have 5 total color segments complete!! 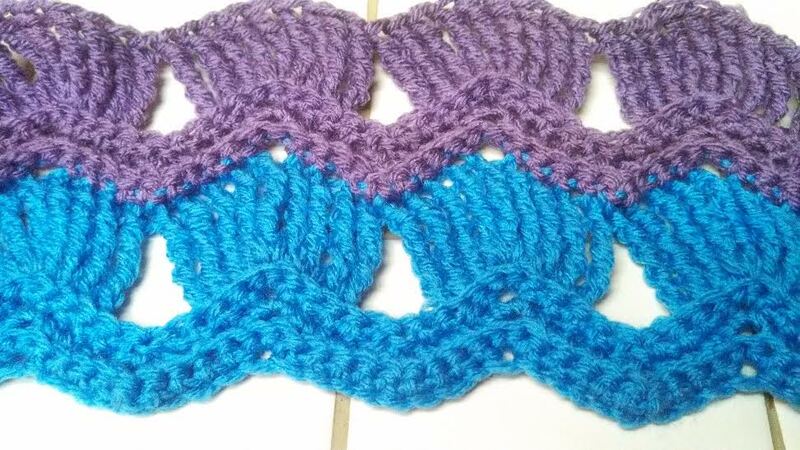 Email your pictures for next weeks Crochet with Me segment!! [email protected]!! !